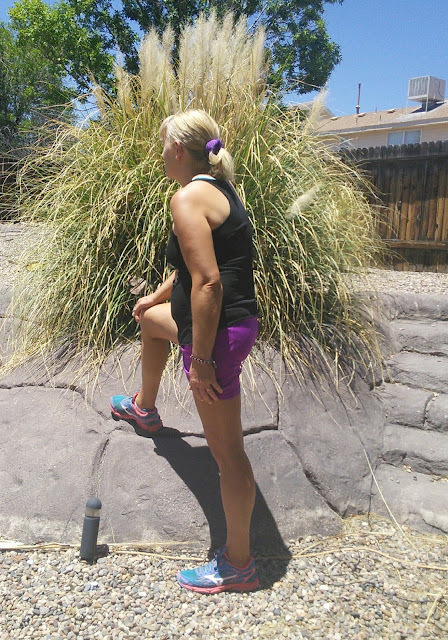 Do you have setbacks in your fitness journey? I have been on my journey for more than a year and it has been a long journey. The journey started with an ankle injury that developed into tendonitis then I had numerous falls from wearing the incorrect shoes. Two of the falls left me with a lot of blood and scrapes while the last one left me with a torn hamstring. I had to endure several weeks of healing and physical therapy along with trying many different supplements to finally be able to start running again. I began my walking to running regime last February and in six weeks I was running again. It felt so good to run. For the past month, I have been working on speed and distance. Things were going well until last week when I decide to do some different stretching and I have no idea what I did but the next day I had pain in my upper leg when I ran. I think I did something to my hamstring as the pain is similar, but to a lesser degree, to my torn hamstring injury last year. So now I am back to square one and having to walk for a month while my leg is healing. I then will have to start the process of getting back to running. This is so frustrating as I was looking forward to running on the beach next week when I go to West Palm Beach, oh well, I will have to enjoy walking on the beach. I am consuming extra protein and vitamin C to help my leg heal faster. I discovered a delicious Organic Plant-based Meal Replacement that has the 8 building blocks of nutrition in it. I am hoping these 8 items will help me heal faster so I can get back to running. Sun Warrior illumin8 comes in three flavors- Mocha, Vanilla Bean, and Aztec Chocolate. The Vanilla bean is my favorite. This meal replacement tastes good when mixed with water but it would also be great for my fruit and veggie smoothies.This Meal Replacement is dairy, soy, & gluten free. I love that it has no added sugar and GMO-free. So what are these 8 Building Blocks of Nutrition? This time around I am also using ice and heat on my injury, something I have learned along the way, and it seems to help. For right now my leg only hurts when I run and I feel no pain when I walk. When my month of no running is over I will remember to stretch my legs and go back to my walk/run routine that I did a couple of months ago. My husband tells me to just stop running and then I won't get all these pains. He is not a runner so he just does not understand my need to run. I just love how I feel after running and it helps me to thinks better. I think most of my writing ideas come to me while I am running. I also keep my body looking great from running. Are you a runner? If so tell me what motivates you to run? 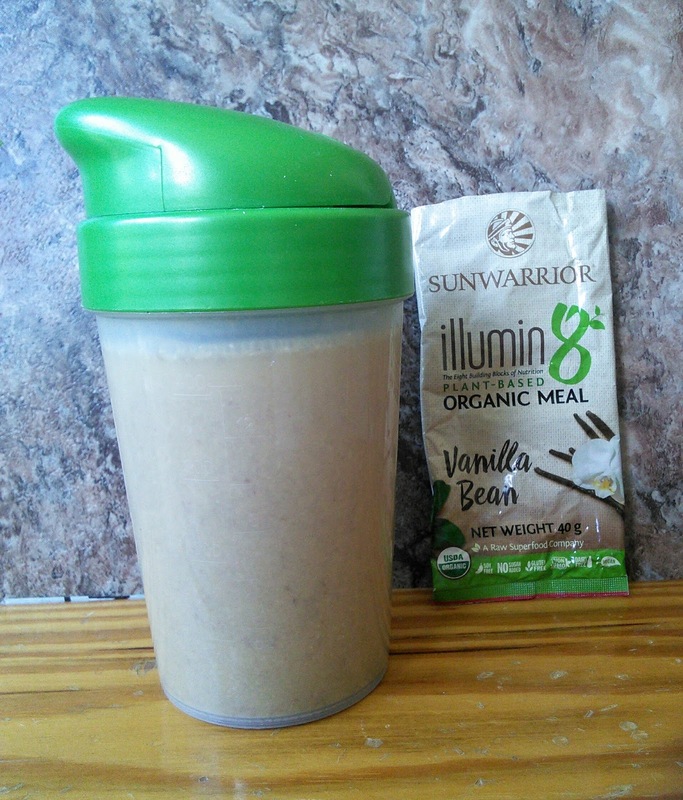 Click on the below links to find out more about Sun Warrior illumin8 Organic Plant-based Meal Replacement. "These opinions are my own and I received samples of the above-mentioned product to facilitate this post." Sounds like a good way to get help in healing. We all need a bit of an "outside" boost. I've never had a real injury as such but did suffer from symphysis pubis disfunction with pregnancies 3 & 4 that affected all my workouts. There is nothing like an injury to interrupt your workout regime. I don't know about these meal replacements but iwll check into them. i can't eat nuts, but if they are nut free i am going to try them. We cannot ignore the fact that our body is aging and is prone to accidents and injuries, we just need to recover good and be up again to do those regular routine. I will look forward to check the grocery for this product. I am not a runner myself for health reasons. I am so sorry to hear about your journey. I know it can be discouraging but I'm glad to hear that you're putting in effort to get better. I want to try that vanilla bean flavor! Looks really good. Oh, I am gonna try this for a healthier body. I am having back aches whenever I workout. Sorry to hear about what happened. I am so glad this product is helping you on your recovery. Nice supplements, I like how you recover. I will try this drink, I think it is perfect for my workout. I hope you stay strong and able to run. I have several friends that run with injuries and it is no fun. I can't even imagine how frustrated you must feel with another injury! I hope it heals quickly for you and you can get back to what you love. I am not, I dream of being and getting fit again, people like you are such an inspiration for me! I'm sorry about your most recent injury and I hope everything goes well with this new regimen that you have. It's all going to heal eventually! Just always keep the faith! Oh no sorry to hear that you injured your hamstring that must be painful. The protein supplements are a great idea though. Often, i got really nice ideas on what to write after a leisurely way at the park or just within the office building. Walking clears my mind. Perhaps, the same feeling with you when you run. I hope your injury would be all well and ok. Your injury sounds so scary! I'm so sorry you experienced that. I can only imagine how your recovery has been physically and emotionally. I twisted my foot while wearing high heels once and got a hairline fracture in the process, and even today it still gives me trouble from time to time. It gives me just a taste of what it would be like to live with an even greater injury, healed or not. Congratulations on getting back to your active lifestyle! I feel like I am on an extended setback right now lol. I need to find my motivation again. I've been slacking way too much. I like that these are all organic. That's definitely a plus for me. I feel your pain. I fell down a flight of steps some years ago and suffered knee and ankle injuries from which I have still not fully recovered. I respect your journey and salute your courage. Walking on the beach still sounds amazing! Hope that you are healed soon! You are very brave, i can barely run after the bus without loosing my breath. I don't think I will ever be a jogger or a runner. Glad that you are trying your best to recover as we all tend to face such setbacks in our journey. 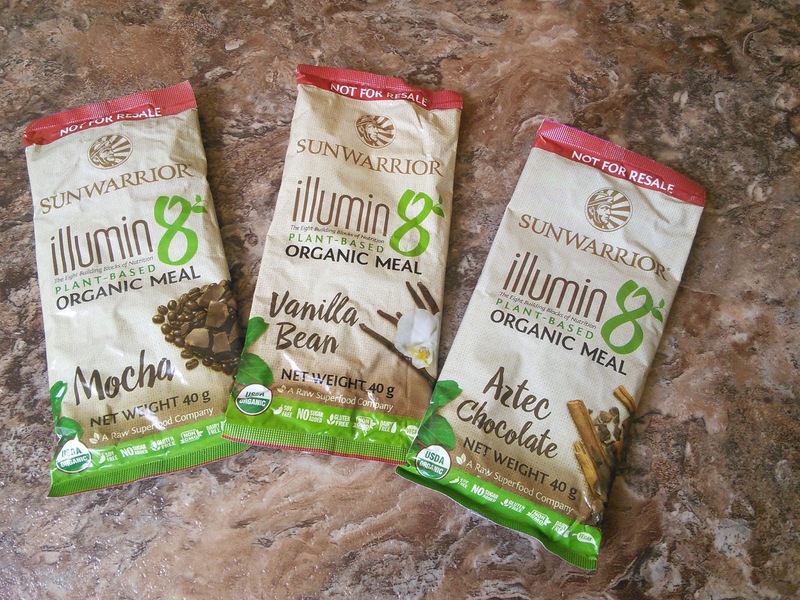 Sun Warrior illumin8 sounds awesome & I love that we have different flavors to try out. Your recovery story is amazing! I am proud for you and hope you continue to do well. You are so brave. Thanks for sharing your story it will inspires to those people out there that no matter what always be positive.